Thinking of hosting your corporate event in Hawaii? We have just the inspiring location—with an award-winning in-house Executive Chef and lots of fun activities for everyone! We want to help you plan a detailed corporate event that will leave memories with special moments of Hawaii. Come explore our rustic plantation that takes you back into the old Hawaiian feel. Maui Tropical Plantation is surrounded by the beautiful West Maui Mountains and offers endless possibilities for making your event an absolute memorable success. It is one of the very few locations on Maui that can accommodate both small and large groups (over 5000 people). 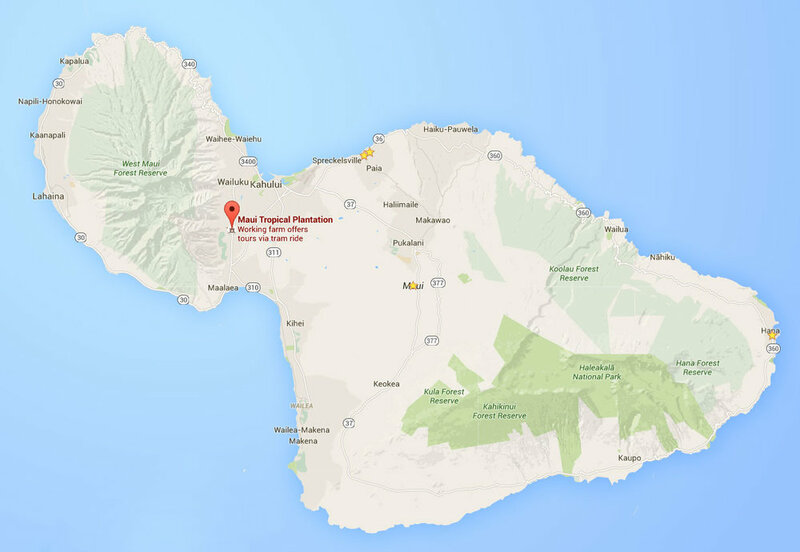 Maui Tropical Plantation is located in the Central Maui area, specifically Waikapu, just 15 minutes from Kahului Airport, 25 minutes from Wailea, and 30 minutes from Lahaina. You can host your event on different areas of the property. "Field of Dreams" A 2.7-acre area with a stage and an audience area with a capacity for as many as 5000+ guests. Theater & Front Lawn are located indoor and outdoor respectively, where tables and seating can be arranged. The front lawn area can host a buffet, entertainment, or general seating for an event. Accommodates up to 500 guests. The Mill House Restaurantoffers unique in ambiance and in culinary creations. There are large rustic decor of mill house wheels and the old train that gives the entire restaurant a rural vibe. Executive Chef Jeff (winner of 2015 Aipono "Chef of the Year" Award) utilizes fresh and organic ingredients grown on the property on Kumu Farms. The menu consistently rotates depending on the available ingredients of the week. Serene Gazebo Venue: The intimate, smaller area with a garden gazebo with an idyllic pond with the West Maui Mountains in the background. It can accommodate up to 500 people. Buyout of whole Maui Tropical Plantation property: Your company can “buyout” the entire plantation for your ultimate privacy so it will be closed to the public. This guarantees all access to all venues mentioned above. Corporate Meetings A quiet group meeting can be arranged either at the theater or the restaurant indoors. Many entertainment options are possible. The most common events are concerts by local Hawaiian bands or other groups, a Hawaiian Hula show, a Tahitian Dance performance, and a Polynesian Fire Dance. We can accommodate theme-parties, galas, award ceremonies, product launch/demonstrations, and many other ideas. 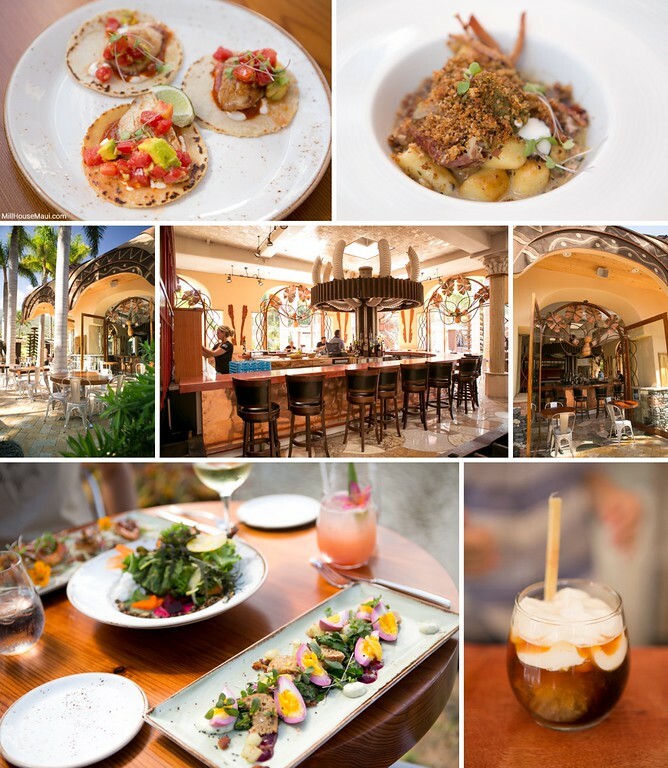 Your food experience will be prepared by renowned Maui Executive Chef Jeff Scheer and his delightful culinary team. Food menus can be customized, with banquet style for breakfast, lunch, dinner, or appetizers and snacks. Chef Scheer loves to create exquisite dishes using the freshest, organic ingredients from Kumu Farms, also located on the Maui Tropical Plantation. Maui Tropical Plantation offers a variety of activities for your guests to enjoy throughout the day. Maui Zip Lines. Get ready for this family-friendly adventure that will take you across Maui Tropical Plantation. Ascend the towers to enjoy the magnificent view of Mt. Haleakala, West Maui Mountains and the rugged coast. Enjoy the exhilarating 300-ft to 90-ft ride overlooking tropical plants. Come fly with us! Hawaiian Cultural Activities such as lei making, learning to play the ukulele, learning to dance the hula, and playing traditional Hawaiian games. Mill House Roastinguses 100% Maui grown coffee beans and roasts in small batches. We can offer your guests a coffee-roasting tour of this fine process and tasting samples of its highest-quality coffee. 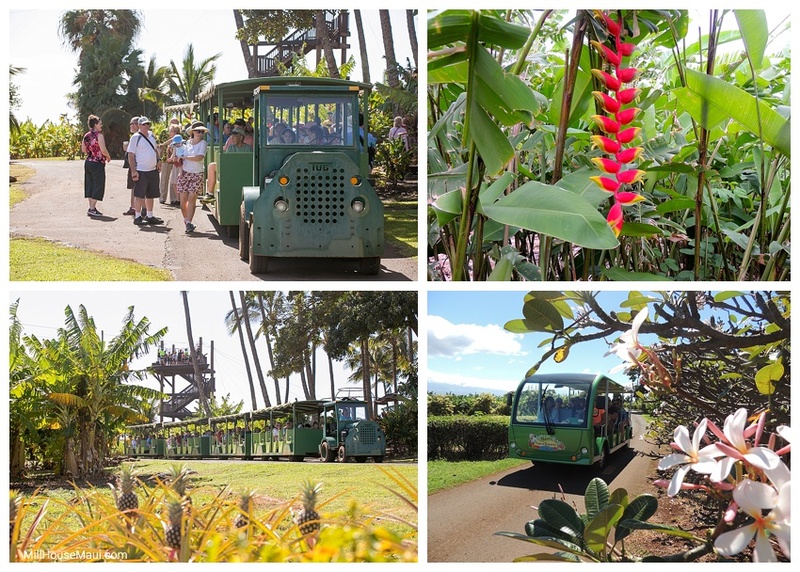 The Tram takes you around the Maui Tropical Plantation property on a guided express train, introducing you to local Hawaiian plants. Take a peek at how the delicious coconut meat is obtained. Moku Pua Factory Store can teach your guests the process of making chemical-free soaps, body butter, or sugar scrubs. The natural biodegradable products come in many Hawaiian scents such as plumeria, coconut, papaya, lilikoi, and lemongrass, just to name a few. All products are made with natural and exotic oils of Avocado, Sweet Almond, Macadamia Nut, Jojoba, Kukui Nut, Mango Butter, and Shea Butter. While the corporate folks are talking business, the rest of the family can enjoy the plantation. There are plenty of ducks at the pond to feed bread, and occasionally a heron that hunts for the pond fish. 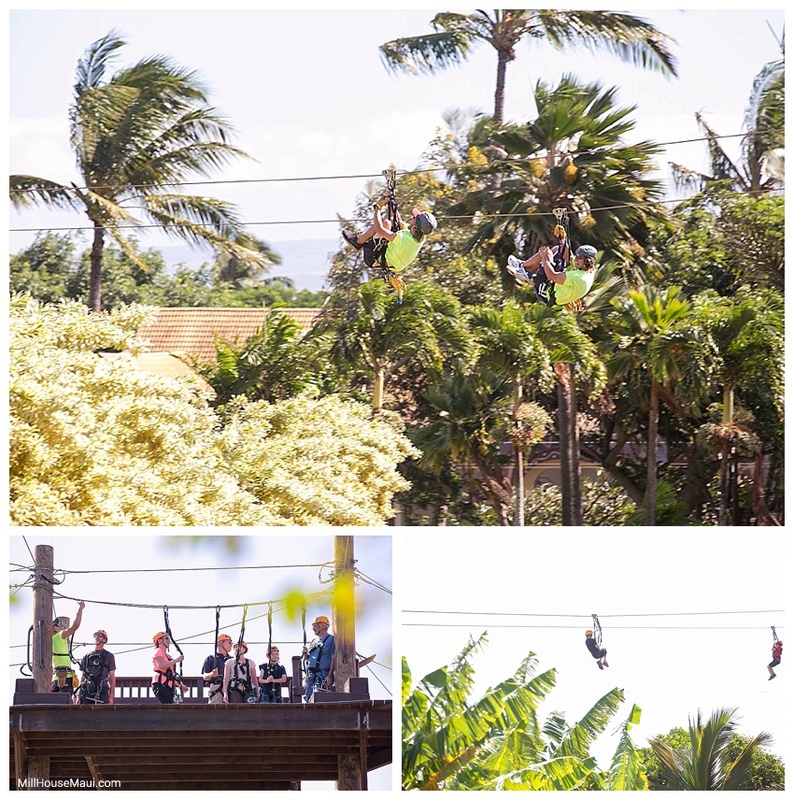 The children love the tram ride, and for those kids over 45 pounds, they can enjoy the ride of a lifetime on the Maui Zip Line. Maui Tropical Plantation has selectively chosen local, hardworking staff members to enlighten their guests upon visiting the plantation. Zip line staff are well trained, retail shop employees greet you with Aloha, and restaurant staff delivers delicate cuisine with utmost care. We want to welcome you with open arms and let you explore our property to discover 'Old Hawaii' for yourself. We would love to accommodate you to help make your stay on Maui as memorable and exciting as possible by customizing every detail of your event. For more information or reservation, please use the contact form or call Pamela, the Corporate Event Manager. She can be reached directly at 808-298-6899.
what are some other great spots for a corporate event on maui? comment below!